Cejn® Hydraulic Flat-Face quick-connect coupling are manufactured according to and exceeding the ISO 16028 Standard for low and medium pressure hydraulic applications. The Flat-Face design minimizes spillage during connection and disconnection. Cejn® couplings require only one hand for operation, making connection and disconnection fast and easy. Hydraulic Couplings are used for General Hydraulic or Industrial use in Agricultural, Construction, and Industrial Applications. 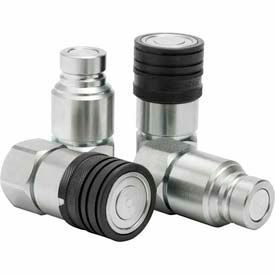 Hydraulic Couplings are made of steel for long lasting durability. couplings transmit rotating mechanical power and can be used in automobile transmissions as an alternative to a mechanical clutch. 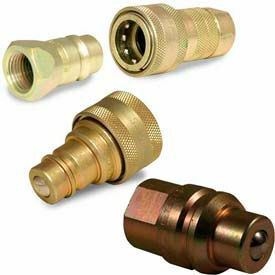 Quick Disconnect Coupler is widely for one-hand connection or disconnection. Available in a variety of A Connections, B Connections and styles to meet job requirements. Color finish is Silver. Package quantity is 1.